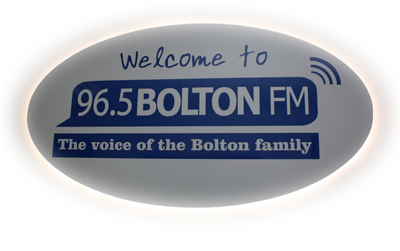 Bolton FM is a multi-award-winning non-profit community radio station brought to you by more than one hundred local people every week. We broadcast 24hrs a day from our studios located at the Bolton Market on Ashburner Street in the heart of Bolton town centre. We encourage new, unique and innovative radio with a relevant and local feel. All of our shows are produced and presented by volunteers and we offer our town an exclusively local radio service that promotes local events and focuses on local news and sport. We welcome input from local sports teams and voluntary groups. We are also famous for our fantastic and varied taste in music. We cover everything from unsigned bands to specialist music shows, talk programmes and much much more. To be responsive to the wider environmental and future needs of the Bolton community. To honestly inform their audience on the basis of information drawn from a variety of sources and to provide a right of reply to any person or organisation subject to serious misrepresentation. Community Radio in the UK is regulated by OFCOM. You can find out more about Community Radio on the Community Media Association’s website. Full competition terms and conditions.